In January 2017, my now five year old son, Parker, was diagnosed with a mutation in his KIF1A gene. After two years of searching, my husband Tyler and I had one answer to so many questions. Why is Parker falling all the time? Why can’t he walk? Why is his speech delayed? Why is his eyesight so poor? Why isn’t he keeping up with his peers? The answer is KIF1A. At the time, there wasn’t a name for the disorder and Parker was one of about thirty known cases in the world. Now, there are about two-hundred known cases of KIF1A Associated Neurological Disorder (KAND). KAND causes spastic paraplegia, cerebellar atrophy, ataxia, cognitive impairment, optic nerve atrophy, peripheral neuropathy and epilepsy, among other things. To put it simply, KAND robs children of their ability to walk, talk and see. The absolute worst part of KAND? It’s degenerative. As our kids get older, their condition worsens. So when we were given Parker’s genetic test results over the phone and our neurologist said Parker had a neurodegenerative disorder, I was devastated. At the time, Parker was enrolled in weekly physical, occupational and speech therapy. We knew he was behind, but without any diagnosis for the cause of his delay, we thought he would get better with a little extra work. Wrong. No amount of therapy would “fix” Parker, and there is no treatment or cure for KAND. Yet. Five months before we received our KIF1A diagnosis, a family in New York City received the same life-changing news. Luke and Sally Rosen started building what would become KIF1A.ORG to help connect KIF1A families and accelerate KIF1A research to find a cure for their daughter Susannah and others like her. Their relentless determination inspired Dr. Wendy Chung, a clinical and molecular geneticist and director of The DISCOVER Program for Undiagnosed Diseases at Columbia University Medical Center in New York, to take on KIF1A research. In April 2017, Tyler and I went to New York to meet the Rosens, a few other KIF1A families, Dr. Chung and additional researchers. We talked about what was currently known about the disorder and what we could try now to ease the various medical challenges that come with KAND. At the end of the meeting, Dr. Chung and her team offered their help. They would stick with us for the long-term, or as Dr. Chung likes to say, "care until cure." After the meeting I decided to help with KIF1A.ORG. I had six years of nonprofit and grant writing experience, and I was excited to put my skills to work for our KIF1A community. But, my nonprofit job demanded a lot of hours and a lot of energy. There simply weren’t enough hours in the day to follow both of my passions. Then one day at work, I decided to watch a new interview that Dr. Chung had given about KIF1A. There wasn’t anything revealed in the interview that I didn’t already know, but listening to all the horrors of KIF1A, packaged in one short video, was like a punch to the stomach. I distinctively remember sitting alone in my cubicle thinking to myself, “what am I doing here?” That night, I came home to Tyler and unloaded all my fear and frustration. Without hesitation, Tyler said if I needed to quit my job the next day, I should. So that’s practically what I did, although I did give a one-month notice. 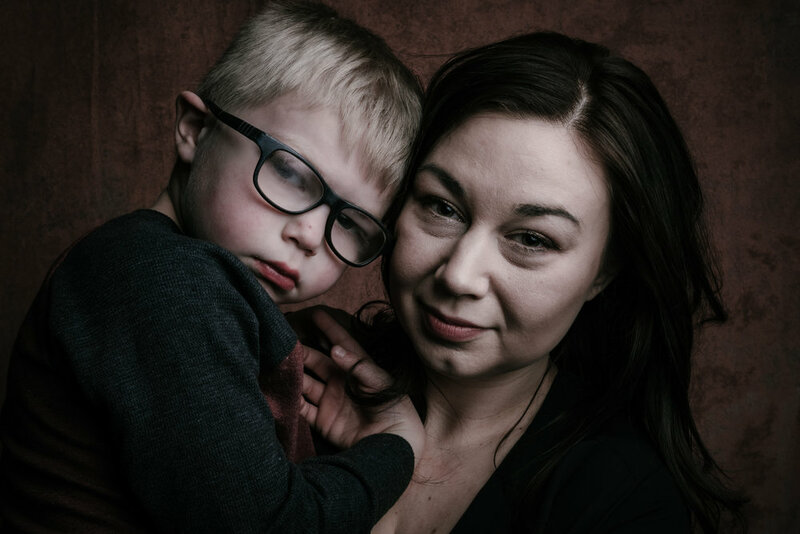 I spent two months diving into rare disease research and began working with Luke and another KIF1A parent, Shannon, on fundraising and outreach for KIF1A.ORG. I took on the role as president of the organization to help with the day-to-day operations. Because and I haven’t won the lottery yet, I did find a new job with fewer hours that would allow me more time to work on KIF1A.ORG on the side. Our small, but mighty, KIF1A community has achieved a lot over the last two years. We’ve raised over $250,000 to advance KIF1A research, helped establish a natural history study, secured mouse models for research from The Jackson Laboratory and have cultivated an active network of parent advocates from around the world. Once or twice a week, a new family will receive a KIF1A diagnosis. 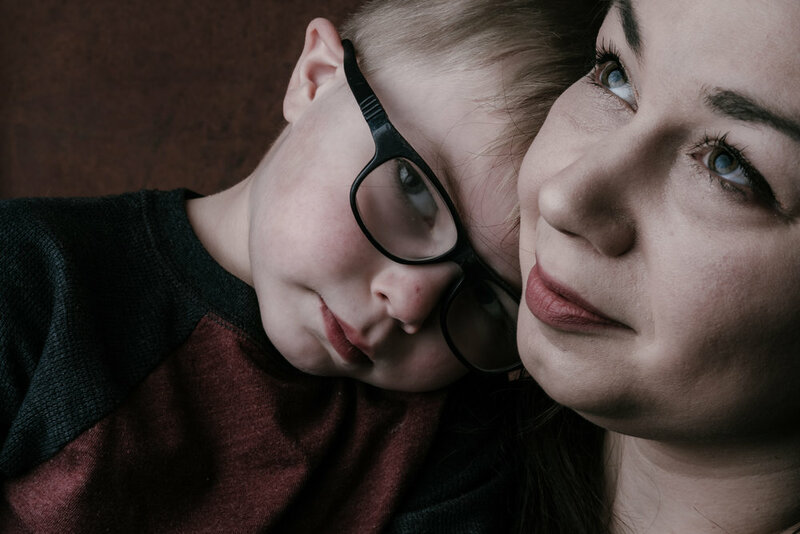 Nearly every time their geneticist or neurologist will tell them this disorder is so rare, they have never seen another patient with the same genetic disorder. They will tell the family to Google the disorder, or maybe the doctor will have done the Googling and will tell the family to look up KIF1A.ORG. Then the parents will contact us through our website or our support group on Facebook. A lot of the messages are similar to what I wrote when we got our diagnosis for Parker in 2017. 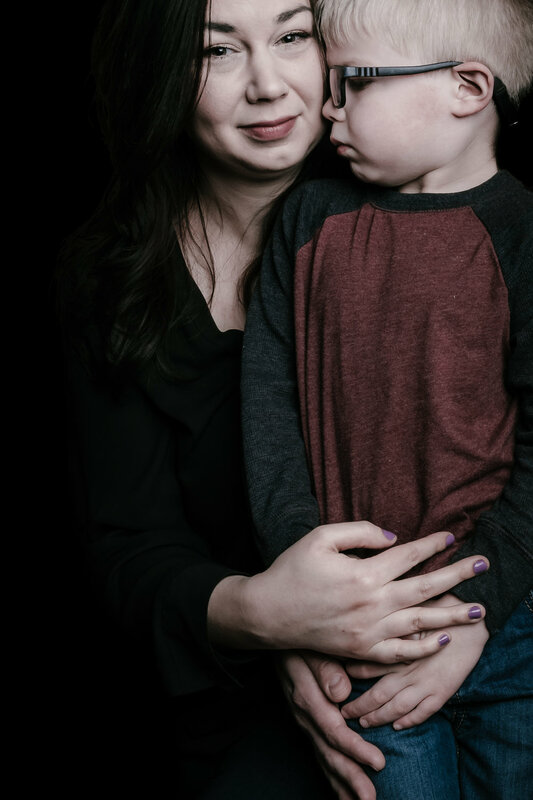 “I’m scared.” “This is a lot of information to take in.” “What does this mean for my son’s/daughter’s future?” “Is there treatment?” Every time I welcome a new family to our community, I remember how confused and scared I was in the first few weeks. I hope that I can bring them some comfort while their world is being turned upside down—that our community can help them see that they are not alone. What’s most important to me is that Parker is happy. Anyone who knows Parker, knows that he is one happy, goofy, fun-loving kid. He smiles and laughs with his whole heart. I take him to school at McBride Elementary, and every day I get to see kids eagerly greeting him with kind hellos and sincere smiles of their own. Every day, Tyler and I celebrate small victories. We have a whole community of family, friends, teachers, therapists and medical professionals who are rooting for him and helping him live his best life. What really fuels my hope, is seeing people from around the world join our side. Our community has witnessed so many acts of generosity from family members, friends, coworkers, even people who don't know us personally at all. We are so incredibly lucky to have a team of researchers from Chung Lab and others who are equally as compassionate as they are brilliant. We received this devastating diagnosis in an exciting time of rapid progress in drug development and gene therapy. Treatment for Parker and kids like him is not a science fiction fantasy. As long as our community continues to engage in and drive research and discovery, I have no doubt we will find treatment for Parker. As optimistic as I am for the future, I can't take away the pain our community has experienced in the past or ignore the pain endured today. Parents having to watch their kids slowly lose skills they fought so hard to build. Struggling to stay afloat during the complexities of everyday life while trying to raise a child with special needs. Worst of all, losing a child to this disease. There is no meaning for that kind of suffering. I can't bring back what is lost. What I can do is work toward a brighter future. Pouring my time and energy into our mission to cure KAND is my therapy, my coping mechanism. I have become a stubborn optimist. I know we will create a brighter future for Parker and all of his KIF1A friends. KIF1A.ORG is a parent-led nonprofit organization dedicated to finding a cure for children living with KIF1A Associated Neurological Disorder, a rare genetic, neurodegenerative disease. To learn more visit KIF1A.ORG and connect with the organization on Facebook here.